Who owns what in the beauty landscape? With all the skincare lines out there, it seems like an endless sea of brands and products. 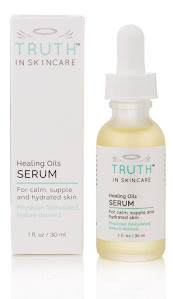 Truth is, there are relatively few skincare companies who own and run almost all the brands. And, usually, this means, you'll find similar (if not the same) formulas across many of their brand lines. Same product, Different package. This way the companies also save mega bucks on ordering from their suppliers as well. What I would do (and this applies to drugstore brands as well) to get the best savings is compare formulas owned by the same companies and if they're similar, just buy the cheaper one! What's interesting to me, is that each brand still carries a "mystique" to it, some sound French, some Asian, but in reality . . . all from the same corporate warehouse! For example, a line called ReVive (and sold at hundreds of dollars for a product :-( )sounds French, and their products are written with French words like "intensite creme lustre" (spelled with the accents and all, which I can't find on my blog writer right now). But it's not French, no at all, American all the way, from formulators to producers! Wanna see who owns what? Click here for a great summary by Charlotte at Kiss and Make Up. In future blogs, I'll be writing about how to better read ingredients on labels and to get some inside tips to decipher how much of an ingredient is really in the product! I found your blog while doing some research for my own company. You are working hard to educate consumers about seeking the truth in cosmetics. This is great for my business! Thanks. Just a suggestion though... how about including the positive after the negative? For example, you have provided information about the "giants" who own several brands. Can't you also list the independents who are doing a tough job trying to sell an honest product in this market? I own a company called Billie Goat Soap, we sell hand made goats milk soap into Health Food stores in Australia. We make a great product, but it is hard competing with cashed up Goliath. Thankfully, our soaps are great (and we are honest about the ingredients we use) and this helps us to compete. Your blog helps us also. I'm not asking you to endorse the independent brands - just asking that when you provide your information, take the time to offer your readers a better alternative. As Fred Hollows said, "together we can achieve more."